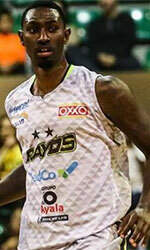 Al Hilal Riyadh (SBL) signed 22-year old American guard Travion Kirkendoll (190-90kg-96, college: Centenary, LA). He started the season at Texas Cyclones (UBA) in the U.S. The last season Kirkendoll played at Centenary College, LA in NCAA3 also played 26 games in NCAA3 where he recorded very impressive stats: 22.2ppg, 5.0rpg, 3.4apg and 2.3spg. Kirkendoll helped them to make it to the final after they ended regular season as second best team. Quite impressive season as he was named to All-SCAC 1st Team, D3hoops.com All-South Region 2nd Team and NABC NCAA D3 All-South Region 2nd Team. 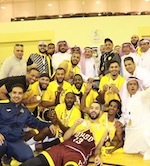 He graduated from Centenary College, LA in 2018 and it is his first season as a professional player.